Many people presume that black Africans were enslaved only by white Europeans. way, slavery served as a way to assimilate conquered peoples into a tribe. Slavery in America began when the first African slaves were brought to the North American colony of Jamestown, Virginia, in 1619, to aid in the production of such lucrative crops as tobacco. Slavery was practiced throughout the American colonies in the 17th and 18th centuries, and African-American slaves helped build the economic foundations of the new nation. The invention of the cotton gin in 1793 solidified the central importance of slavery to the South’s economy. By the mid-19th century, America’s westward expansion, along with a growing abolition movement in the North, would provoke a great debate over slavery that would tear the nation apart in the bloody American Civil War (1861-65). 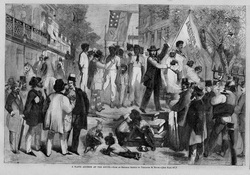 Though the Union victory freed the nation’s 4 million slaves, the legacy of slavery continued to influence American history, from the tumultuous years of Reconstruction (1865-77) to the civil rights movement that emerged in the 1960s, a century after emancipation. Perhaps no single issue divided America as did slavery. Its roots went back to the 17th century when slaves were common throughout the colonies. However, slavery was more common in the South, where large farms and small population made it necessary to import cheap labor. The so-called “peculiar institution” of slavery came to define the South more and more during the 19th century. As the colonies grew, slavery became more entrenched. Politicians crafted various compromises in an attempt to maintain a union that was “half slave and half free,” but continual struggles between pro- and anti-slavery forces made this impossible. By 1861, it had become obvious that the only way the slavery question could be solved was by civil war. Finally in 1865, the 13th Amendment to the U.S. Constitution abolished slavery. The end of the Civil War a few months later fully destroyed the idea of slavery in the United States. • What impact did slavery have on both sides in the American Revolution? the North? In the South? • How did blacks and whites seek to assist those who wanted to escape slavery? Harriet Tubman is perhaps the most prominent face of the Underground Railroad, the famed network of secret routes and safe houses used by 19th century slaves in the United States to escape to free states. Born a slave in Maryland in 1820, Harriet Tubman escaped to Philadelphia in 1849, but returned to Maryland shortly after to rescue her family. In defiance of The Fugitive Slave Act of 1850, which decreed that all runaway slaves be brought back to their masters, Harriet conducted over a dozen missions to rescue over 70 slaves. In 1859, Harriet helped to recruit men for John Brown’s infamous raid on Harpers Ferry Armory aimed to incite a slave revolt. While the raid was unsuccessful, it encouraged the onset of the Civil War. During the Civil War, Harriet served as a cook, nurse and later as a scout and spy for the Union Army. In her later years, Harriet was a prominent force behind the women’s suffrage movement in New York State. She died in 1913 at age 93, having left behind an enduring legacy of courage, grace and resiliency. was a deeply religious English member of parliament and social reformer who was very influential in the abolition of the slave trade and eventually slavery itself in the British empire. 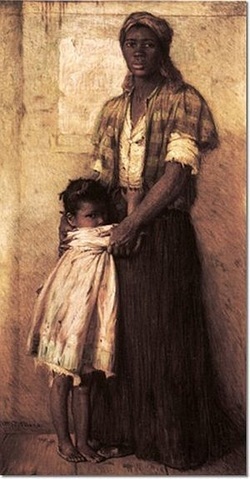 Harriet has always been an inspiration for me, because, not only was she the mother of seven children, but she often parented alone, as her husband was sickly and given to melancholy and depression. Because of her husband’s frequent illnesses, financial matters were always a concern, which was another of Harriet’s motivations for writing, as she was often forced to supplement the family income. But despite the tremendous pressure upon her as wife and mother, she found time to devote to her passionate desire for abolition, and became a driving force through the dramatic words that flowed from her pen. So convincing was her characterization in Uncle Tom’s Cabin, that Americans all over the country were able to identify vicariously with the suffering slaves and their brave liberators. This identification became a catalyst for change, and through the power of Harriet’s pen the nation grew ripe for emancipation. 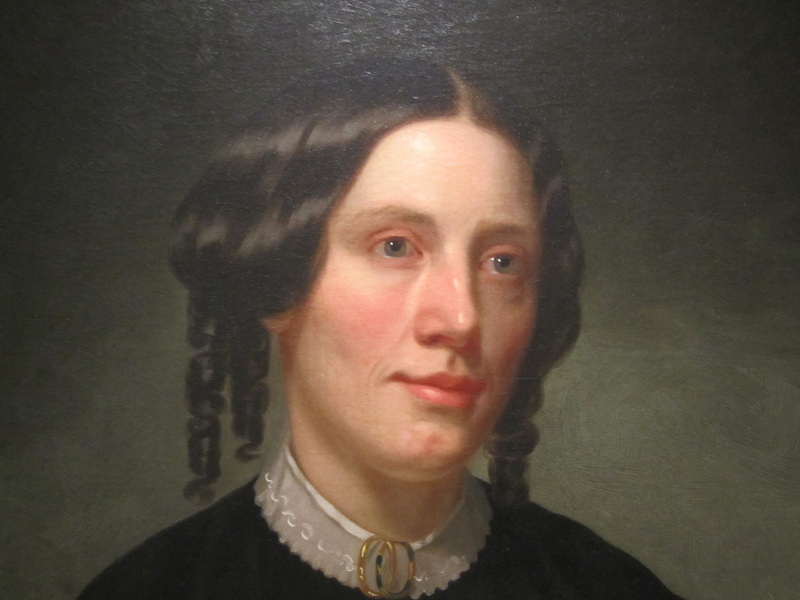 When the American Civil War broke out in 1861 Stowe wrote “It was God’s will that this nation—the North as well as the South—should deeply and terribly suffer for the sin of consenting to and encouraging the great oppressions of the South”—(The Life of Harriet Beecher Stowe). It was to her a direct breach of the second great commandment as she noted, ” . . . the enslaving of the African race is a clear violation of the great law which commands us to love our neighbor as ourself”. A wonderful companion to the study of Stowe’s novel is Harriet Beecher Stowe and the Beecher Preachers by Jean Fritz. Frederick Douglass stood at the podium, trembling with nervousness. Before him sat abolitionists who had travelled to the Massachusetts island of Nantucket. Only 23 years old at the time, Douglass overcame his nervousness and gave a stirring, eloquent speech about his life as a slave. 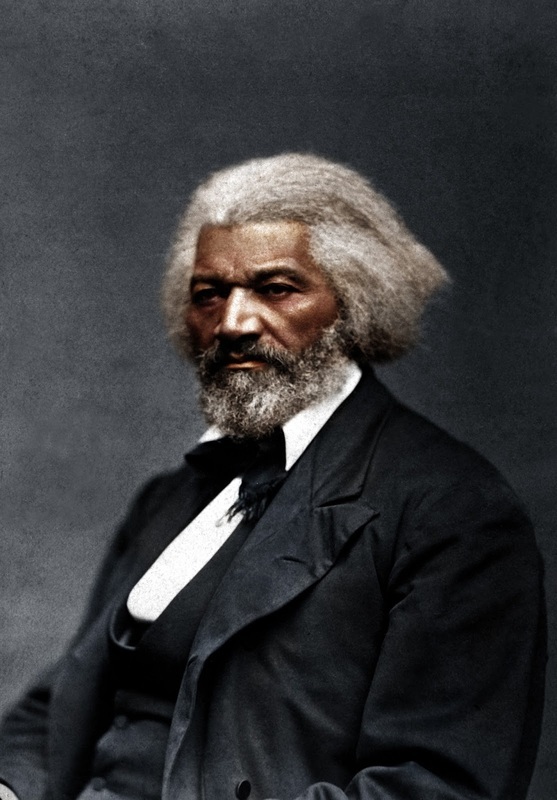 Douglass would continue to give speeches for the rest of his life and would become a leading spokesperson for the abolition of slavery and for racial equality. The son of a slave woman and an unknown white man, "Frederick Augustus Washington Bailey" was born in February of 1818 on Maryland's eastern shore. He spent his early years with his grandparents and with an aunt, seeing his mother only four or five times before her death when he was seven. (All Douglass knew of his father was that he was white.) During this time he was exposed to the degradations of slavery, witnessing firsthand brutal whippings and spending much time cold and hungry. When he was eight he was sent to Baltimore to live with a ship carpenter named Hugh Auld. There he learned to read and first heard the words abolition and abolitionists. "Going to live at Baltimore," Douglass would later say, "laid the foundation, and opened the gateway, to all my subsequent prosperity." Douglass spent seven relatively comfortable years in Baltimore before being sent back to the country, where he was hired out to a farm run by a notoriously brutal "slavebreaker" named Edward Covey. And the treatment he received was indeed brutal. Whipped daily and barely fed, Douglass was "broken in body, soul, and spirit." On January 1, 1836, Douglass made a resolution that he would be free by the end of the year. He planned an escape. But early in April he was jailed after his plan was discovered. Two years later, while living in Baltimore and working at a shipyard, Douglass would finally realize his dream: he fled the city on September 3, 1838. Travelling by train, then steamboat, then train, he arrived in New York City the following day. Several weeks later he had settled in New Bedford, Massachusetts, living with his newlywed bride (whom he met in Baltimore and married in New York) under his new name, Frederick Douglass. 1. what was Fredrick Douglass' most important character trait and why? 2. What was the most important event in his life and why? 3. Define "Liberty and Justice for All"
Extensive survey of slavery in history, laws regarding slaves, and the sociology of slavery. A review of the African side of slavery, tracing the roots of slavery before European contact and ways that Africans participated in the transatlantic slave trade. An interactive exploration of slavery, using primary documents to trace the route of the transatlantic slave trade. Interactive feature about the Underground Railroad that helped slaves escape to freedom. An exploration of Harriet Beacher Stowe's landmark book as an American cultural phenomenon. Includes online exhibits, primary documents, songs, 3D objects, film clips.